So you're riding out of Newton Kansas at 6:00 a.m. to beat the predicted 100 degree temps you're going to encounter by Noon. Your goal is to ride to Sterling Kansas, about 60 miles away. You meet a guy by the name of Kevin, decked out with a head lamp, riding at the crack of dawn. 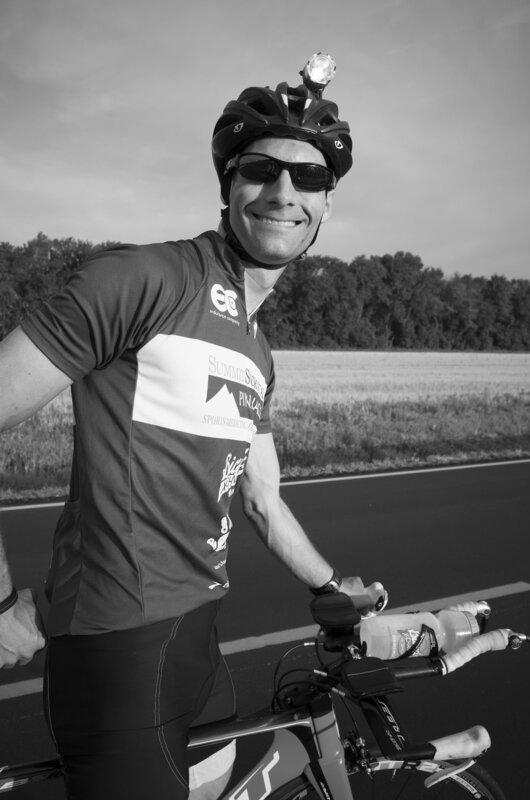 He's a Certified Strength and Conditioning Specialist and he loves to meet Trans Am cyclists and help them find their way out of the twists and turns of Newton. Eureka! Kevin is a triathlete and father of two. He led Jeff for five miles to Hesston, where he then bid him a fond adieu.